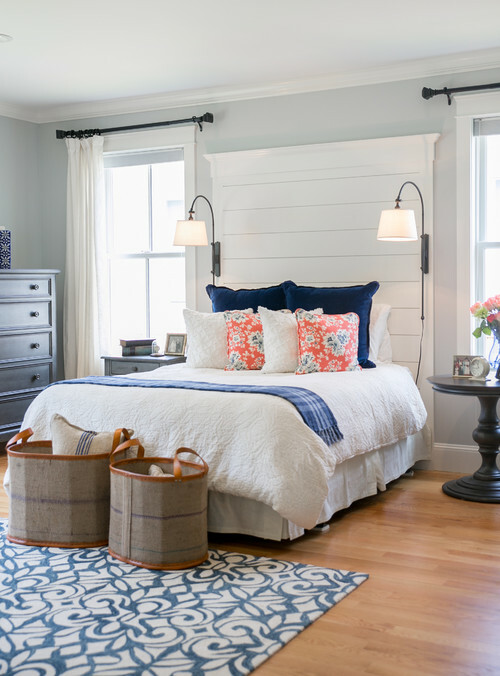 You’d think that good bedroom design in a new home or remodeling project isn’t worth much attention or thought; after all, what’s simpler than a bedroom? Door, bed, dresser, window, closet. Done. That’s probably why bedroom layouts so often don’t seem to work well – they don’t rank high enough on The Architect’s List of Fun Things to Design. 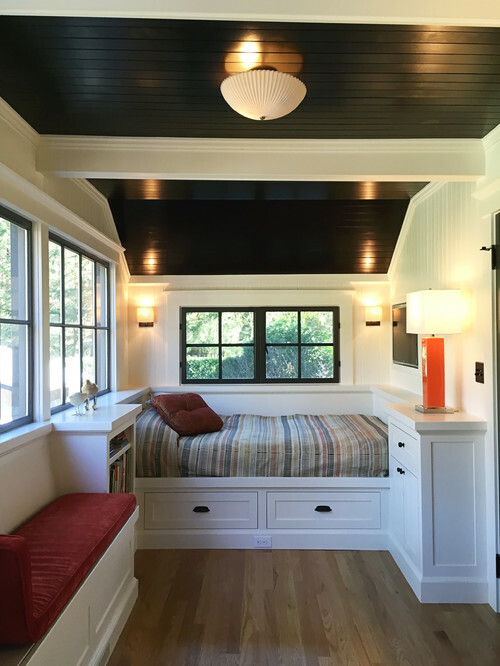 But if one of your goals for your home is good design and better living in less space, you’ll want to take a second look at the bedrooms in your design. Pay a little more attention to these often-neglected spaces and you’ll find they can be a lot better…and maybe a little smaller. Any room is better when glare is minimized, and shadows are softened, by natural light coming from at least two different directions. 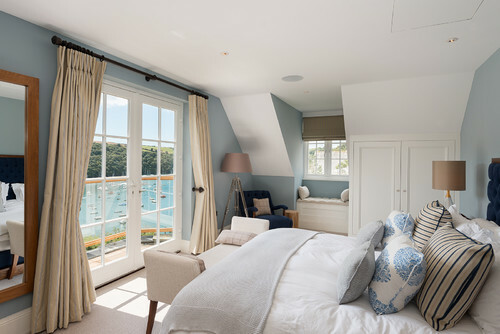 Ideally, the bedroom should be located on an outside corner of the house so that the windows can be on adjacent walls, rather than opposite each other. If the only possibility is windows on one wall, spread them apart as far as possible. There’s a subtle sense of privacy in the layout of a hotel room. Open the door and you see the room ahead and the window on the back wall – you’re not looking right at the bed from the doorway. That simple arrangement applies to home bedrooms, too. The bed (made or unmade!) should never be the first thing you see. The hospitality industry gets my thanks again for this tip – keep all the movement on one side of the bedroom. That means the paths from bathroom to closet, and from closet to bedroom door, don’t go around the bed. That’s what’s going on in the floor plan above – the door into the bedroom (on the right) aligns with the closet door on the left; it’s a straight path between the two. A bedroom designed with clear circulation in mind will be a bit smaller, and still have more wall space available for furnishings. Small bedrooms usually have small closets, right? And small closets are usually linear closets, with all the hanging lined up across the front. That means you’ll need double-wide doors to access full width of the closet – and those doors take up valuable wall space. In many cases, it actually saves space to use a walk-in closet instead, which only needs a smaller, single door. With fewer, smaller doors – and more wall space in the bedroom – you’ll likely have a better (and maybe smaller) bedroom plan. Most bedroom designs have a preferred “bed wall”, but don’t allow for all the other stuff you’re likely to have in there. Nightstands, dressers, a TV stand, a desk and chair, all take up space in a bedroom and should be planned for. Dressers need to fit into the “flow” of the bedroom (see #3 above) and TV stands should be easily seen from the bed. The bed wall needs to be wide enough for the largest likely bed (I design almost everything with at least a queen bed in mind) and at least one night stand. It should also be wide enough for you to easily walk around while you’re making the bed. As you work on the layout of your new home or remodeling, make sure you give the bedrooms plenty of thought. Figure out how they’ll fit into the overall flow of the house, and work on the internal arrangements too. Putting a little more effort into good bedroom design will improve the living experience in your home, and maybe save you a little space, and a little money. 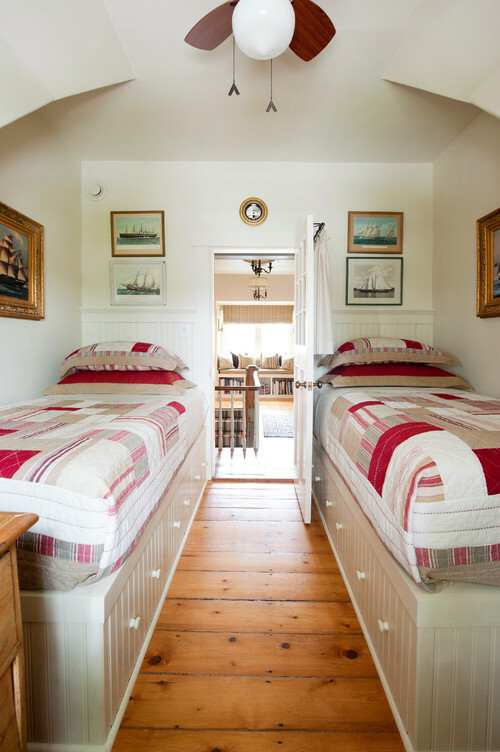 The phrase “sleep tight” came about in the day before box springs, when a “mattress” was held off the floor by ropes wrapped across a wooden frame; the ropes sagged after a while, and had to be tightened before getting in bed.